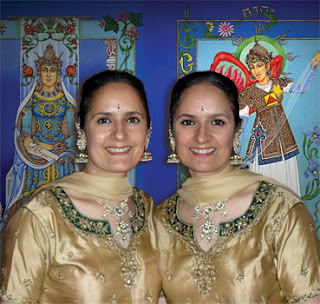 British-Asian artists, the Singh Twins incorporate their brand of miniature revival into the design of Tarot cards in a unique collaboration with internationally acclaimed tarot card exponent and author, Dr. Roopa Patel, for her book, ‘Experiencing Tarot: The Art of Healing’. Although one may have come across some Tarot cards with stock images of Gods and Goddesses of Indian pantheon, this is arguably, the first book by an Indian Tarotaulogist. 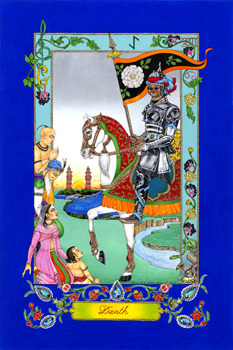 Using the descriptive text that signifies the allegorical representations of tarot cards, explained in detail by Dr. Roopa Patel, as the starting point, artists Rabindra and Amrit Singh have developed the imagery of Tarot cards following their distinctive personal style, yet remaining true to the iconography of one of the most popular set of Tarot images in the European tradition, known as the Ryder Waite Deck. 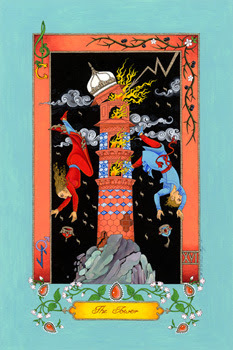 “My text describing each card - the voice of the card, card meaning, and description of the card, correspondence with other esoteric sciences, shadow aspect, and prayer, which comprises chapter II of the book, are the basis of the images,” says Dr. Patel. 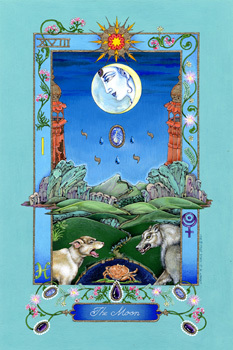 The urge to create something unique that reflected their eclectic style and interest in global symbolism led the Singh Twins, as they are popularly called, into a thorough research on planetary, gem and zodiac associations with Tarot, and the symbolism and language of flora and fauna to convey deeper concepts and themes inherent in each of the Tarot cards. 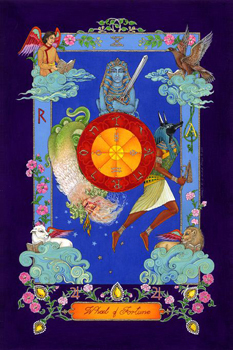 Most of these have been incorporated as decorative motifs around the main image and borders. 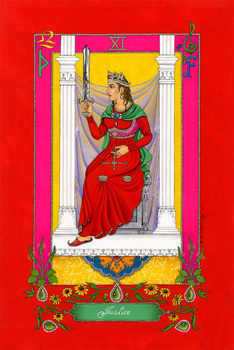 With much of the palette dictated by the Tarot text itself, which describes how each card image had its distinct colour association established by the Rider Waite tradition, they enjoyed artistic freedom to select other complimentary colours that added to the meaning of the card in some way. One sees their unique touch in the incorporation of Indian elements to the extent possible, in the treatment of the faces and costumes of the main figures. 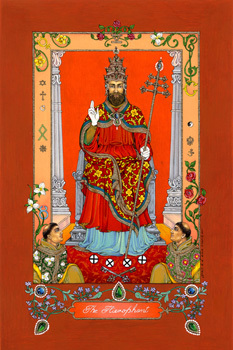 For example, The Hermit card is reinterpreted as a Hindu Holy man, whilst the Emperor card is depicted as a Mughal ruler. 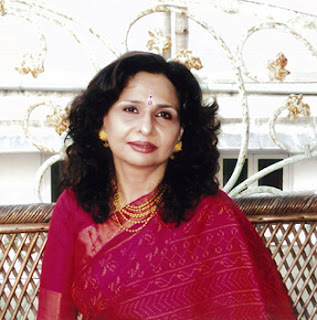 Also seen are traditional Indian compositional techniques like birds’ eye views of carpets, hierarchical structure and stylization of flowers etc. “At the same time, our Singh Twins version of the Tarot imagery shows influence of Art Nouveau, which was one of our favourite art movements before we discovered the Indian miniature,” they inform. The book and the exhibition of 22 original paintings will be launched on October 4, 2011 at the Sakshi art gallery, Mumbai. 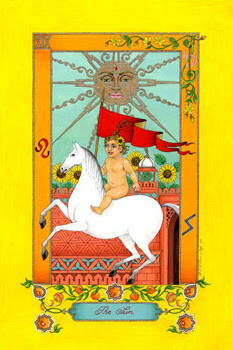 Special Tarot cards and decorative card boxes have been created for this occasion. how beautiful. 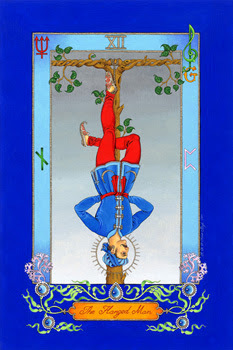 i've often played with the tarotcards. Beautiful and inspiring. I always wanted to do a tarot deck. Thank you for sharing these. I just love looking at their designs! They are impressive. And I want to have one of those but how do you actually use that deck? Posted by Kym on linkedin Group: Open Art Collection Network.